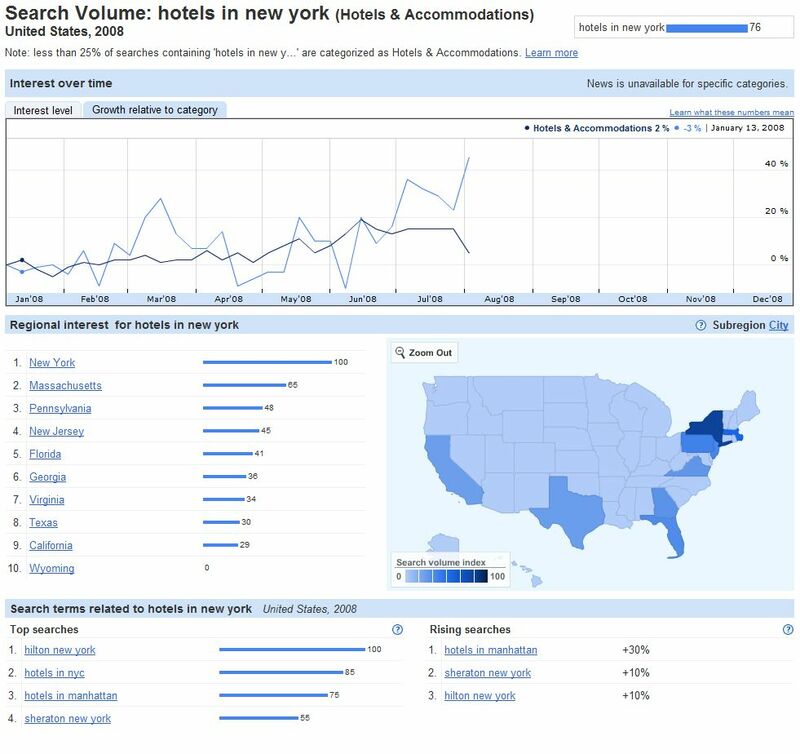 Google Insights for Search has launched today. Well, Google dudes did it again. Taking data based on the Google Trends product, and giving it the twist marketers really need, Google just launched a very interesting service called Google Insights for Search. 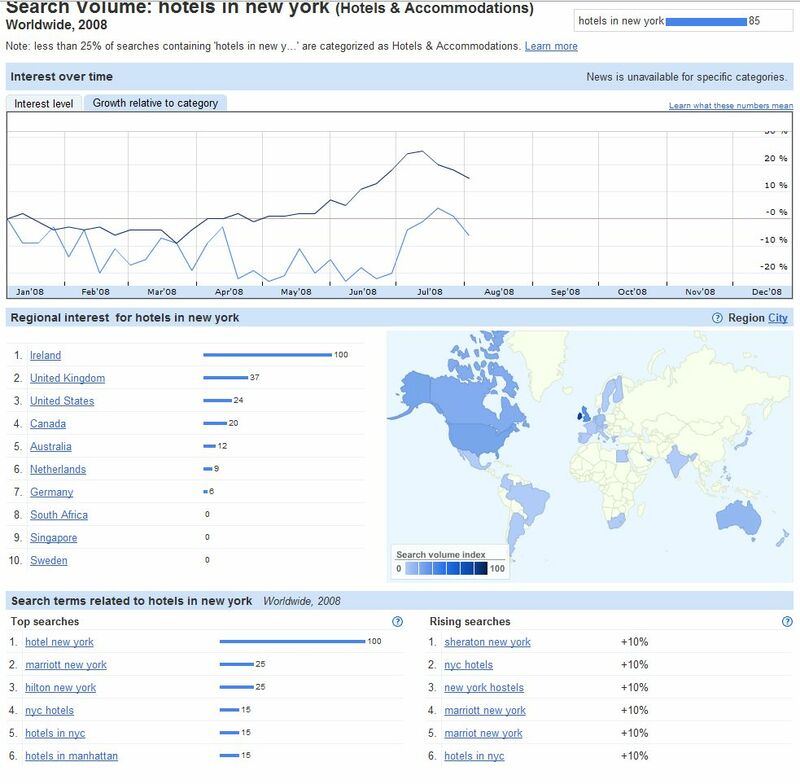 We’ve seen similar services from Compete, Quantcast and Hitwise, however Google’s way of presenting the data, connecting it to the keyword research world combined with the marketing segmentation by vertical, location and related searches, really brings more light into keywords research. Google Insights for Search is not the typical keyword research tool. It will not give you hundreds of thousands of new keyword phrases, will not give exact search volume (yet) but it will give you great insight as to trends, related searches, demographics and competitive rank for a term vs. its industry index. 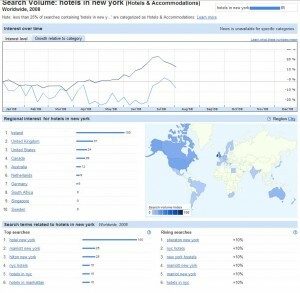 So what is Google Insights for Search? Categories: Narrow data to specific categories, like finance, health, and sports. Seasonality: Anticipate demand for your business so you can budget and plan accordingly. Geographic distribution: Know where to find your customers. 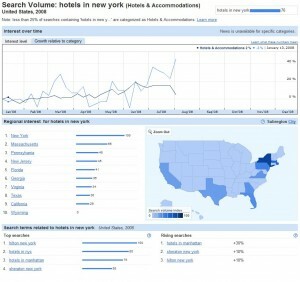 See how search volume is distributed across regions and cities. Google Insights for Search analyzes a portion of worldwide Google web searches from all Google domains to compute how many searches have been done for the terms you’ve entered, relative to the total number of searches done on Google over time. We then show you a graph with the results, indicating interest over time, plotted on a scale from 0 to 100; the totals are indicated next to bars by the search terms. You can see that the trend is opposite between the two geographic segments! While in the whole world, the term used is now decreasing vs. the selected vertical, in USA it’s actually above the industry!